IndieBound is a community-oriented movement by the independent (indie) bookseller members of the American Booksellers Association. It brings together booksellers, readers, indie retailers, local business alliances, and anyone else with a passionate belief that healthy local economies help communities thrive. Supporting local, indie businesses means that dollars, jobs, diversity, choice, and taxes stay local, creating strong, unique communities and happy citizens. ALSC is a division of the American Libraries Association dedicated to the support and enhancement of library service to children. CLA provides leadership for the development, promotion, and improvement of library services, librarianship, and the library community. Arne Nixon Center is a department of the Henry Madden Library at CSU Fresno, and one of North America's leading resources for the study of children's and young adult literature. Located in the heart of California's San Joaquin Valley, the Fresno County Library provides collections and services through its Central Resource Library and 34 branches. Ms. Cheek is a teacher-librarian who provides young adult book overview and recomendation. Infant of Prague Adoption Service is a private non-profit agency that has been building families through adoption since 1953. Licensed to serve seventeen counties in the State of California, we provide a variety of services including the intensive support and counseling to birth mothers who place their children for adoption, training and advocacy for couples who wish to adopt and post adoptive support services for all. Mathnasium specializes in teaching kids math the way that makes sense to them. Using the time-tested proprietary Mathnasium Method™ and curriculum that has helped thousands of students in more than 200 Mathnasium centers nationwide, Mathnasium are committed to helping your child catch up, keep up, and get ahead in math. 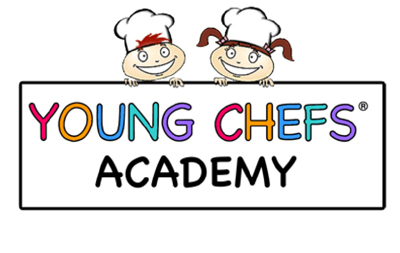 In Young Chefs Academy's kitchen, kids rule, cooking is a blast, and the fun never ends. Explore your culinary creativity and discover why thousands of kids (and parents!) across the world are so excited.